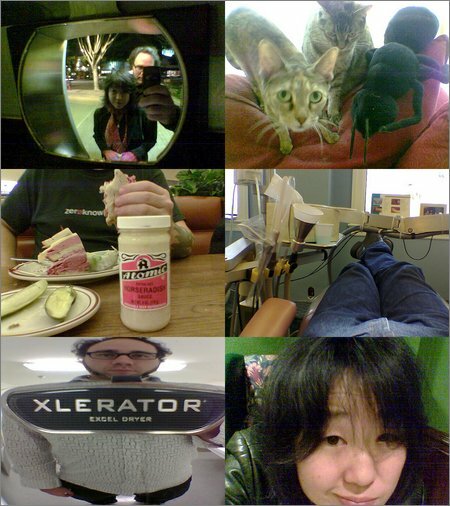 I cleaned out the 2005 folder of camera phone pictures and posted a few to Flickr. I pretty much only take pictures with my phone these days. I love my Canon S70, but I don't take it everywhere, and a camera phone would definitely win in that regard. I'd be able to finally take a picture of the weird bus sign with all the vowels and have someone identify what language it's in for me.